Ms. Yang Chen is an intern at ISDP’s Stockholm China Center. She is currently studying for a double-degree masters at Fudan University and Gothenburg University, specializing in global governance and Chinese public policy. Last year Ms. Chen was a research assistant at the Fudan Development Institute and had the position of editorial assistant for the journal – “Fudan Public Administration Review”. She graduated with distinction from Wuhan University with a bachelor’s degree in Political Science, during which she took an exchange at the National Chengchi University in Taipei. 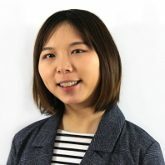 Ms. Chen previously worked as an intern at Reuters Shanghai and the Financial Times (Chinese language version) in Beijing. Her research interests focus on development policy in China and East Asian comparative politics, particularly cross-strait relations.